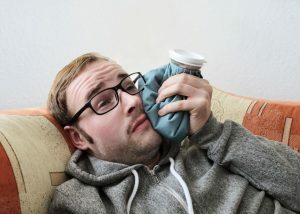 Home » Blog » Blog » Your Guide to Whitening Your Smile at Home! You Will Be Surprised to Know How Simple It Is to Achieve the Smile of Your Dreams!We Can Help Make Sure Your Teeth Don’t Look Like IT This Halloween! Over time your teeth naturally become stained. It can be caused by the food or drink you have or because of plaque building up on your teeth. Our team has decades of experience and can give you the best Teeth Whitening Services and home remedies to make your teeth look better than ever. Here are some ways you can brighten your smile at home! Oil pulling: This is an ancient Indian remedy that’s been said to not only whiten your teeth but increase your overall oral health. Oil pulling involves putting a tablespoon of coconut oil in your mouth and swishing it around for 15 to 20 minutes. The coconut oil can reduce the number of harmful bacteria in your mouth and lower your chances of developing gum disease. After swishing, spit out the oil on a piece of paper to throw away and then brush your teeth! Hydrogen peroxide: Hydrogen peroxide is a common household item, and it’s a key ingredient in many teeth whitening product, making it the perfect home remedy. However, some of the teeth whitening products you may buy from the store have high concentrations of hydrogen peroxide, which can damage your teeth over time. By making a home solution, with equal parts hydrogen peroxide and water, you’ll have a safe and effective way to whiten your teeth. Baking soda: Another natural teeth whitener is baking soda. Buying toothpaste with baking soda as one of the ingredients has been proven to prevent bacteria growth and improve the appearance of your teeth over time. In addition to toothpaste, mixing one teaspoon of baking soda and two teaspoons of water and brushing your teeth is a great home remedy. Apple cider vinegar: One of the main ingredients in apple cider vinegar is acetic acid, which has been shown to have a bleaching effect on teeth. Too much acetic acid can break down the enamel in your teeth, so diluting it with water and brushing with toothpaste after will protect your teeth. 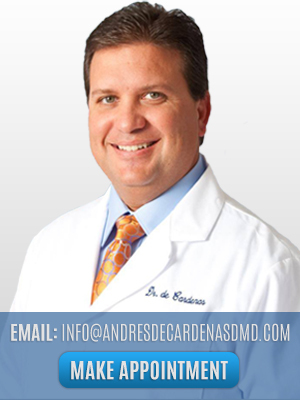 At the office of Dr. Andres de Cardenas, you’ll learn about all the best Teeth Whitening Services. Even if you haven’t been to the dentist in years, you’ll feel right at home when you step into our office. In no time at all, you’ll be showing off your bright and healthy smile for everyone to see! We believe that the most important person is the one right in front of us, and we’ll make you feel that way every time. We’ll be happy to answer any questions, or you may have and walk you through all of our services. Learn more about our Teeth Whitening Services by calling us today at 305-251-3334 or click here to schedule an appointment today!